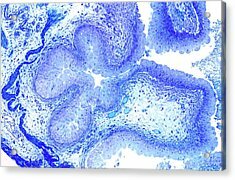 Urinary Bladder is a photograph by Microscape which was uploaded on July 24th, 2016. 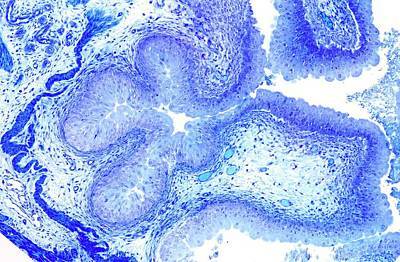 Light microscopy of the internal lining of the urinary bladder. 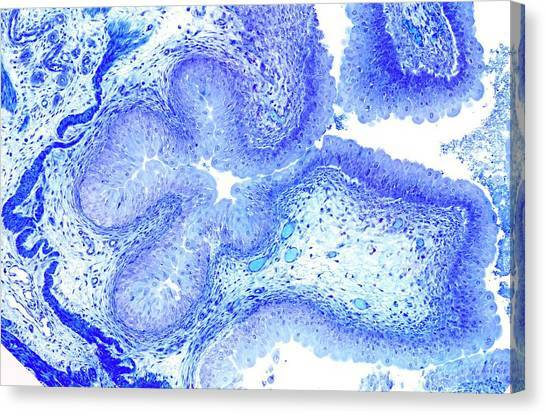 The tissue is a wide transitional epithelium so called because it accommodates to the changes in size of the bladder. 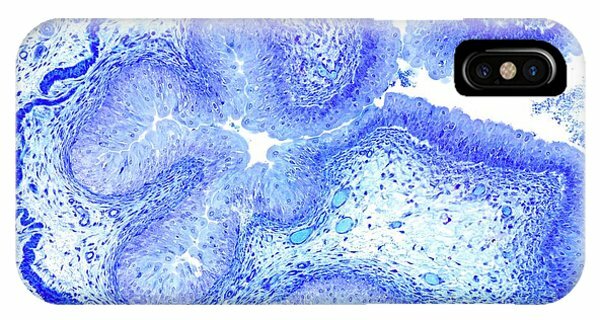 When empty the epithelium is multilayered as noted here; when stretched with accumulation of urine the epithelium is also stretched and becomes just a few cells in depth. 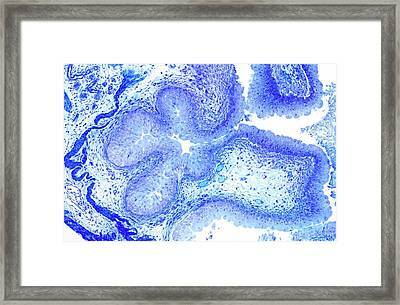 The epithelium is impermeable to urine. 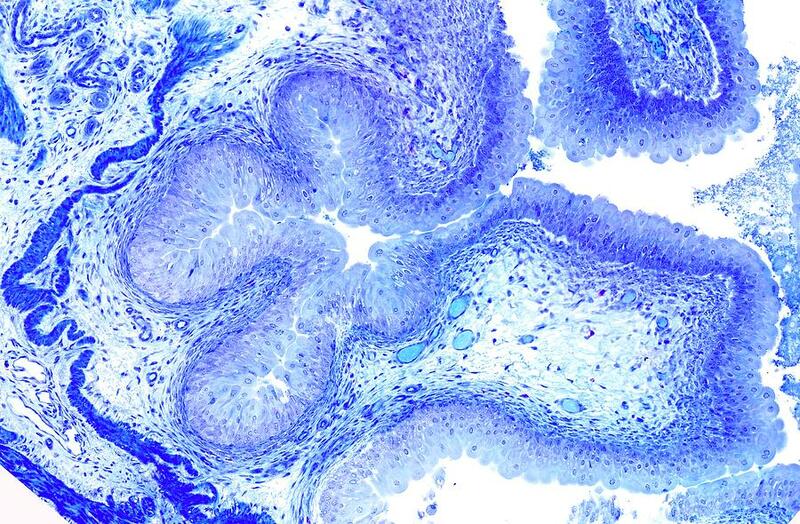 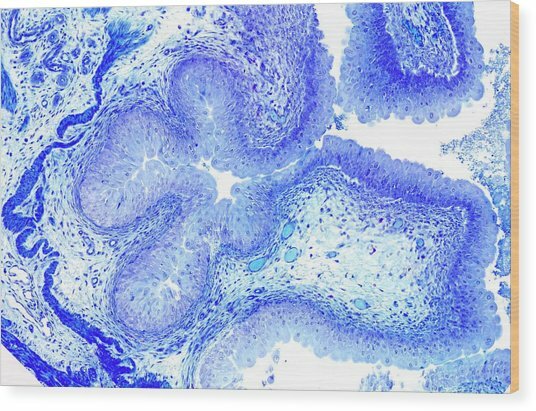 Deep to the epithelium are strips of smooth muscle (dark blue). 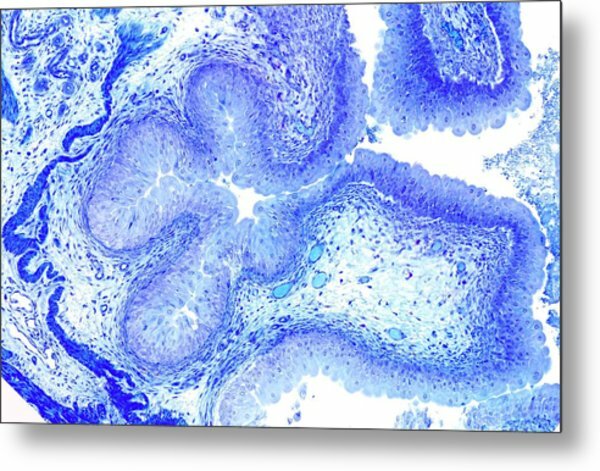 Blood vessels are light blue. 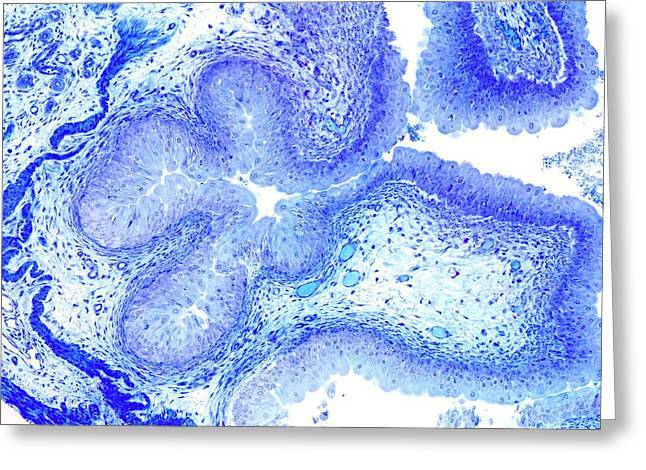 Magnification x100 when narrow width printed at 10cm.